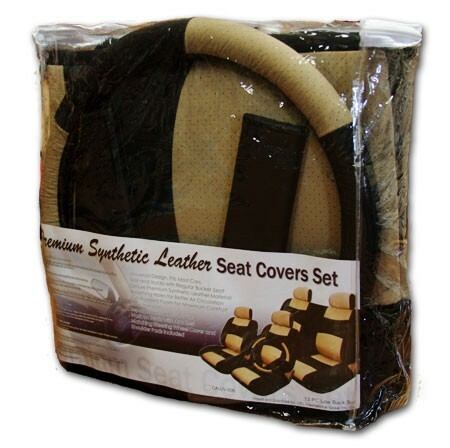 Click the button below to add the 14 PIECES SYNTHETIC LEATHER CAR SEAT COVERS + GIFT SET to your wish list. 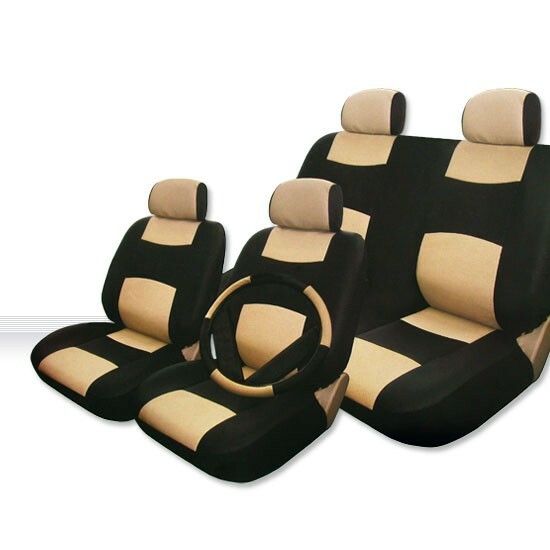 This is a 13 pc Black/Tan set Comfortable and Stylish high quality UNIVERSAL SIZE PU (synthetic) leather seat covers set which fits all cars with regular bucket seat. 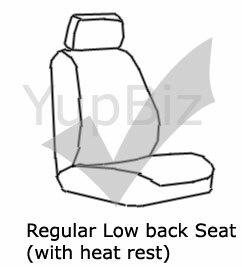 Support front seats with arm rests, side airbag and. 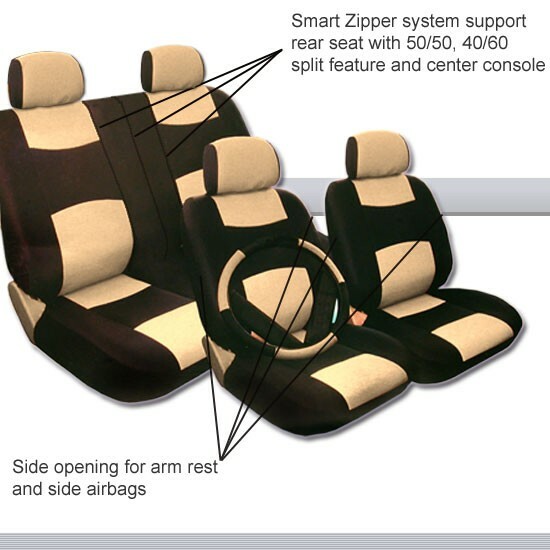 Smart zipper system support rear seat with 50/50, 40/60 split feature and center console. 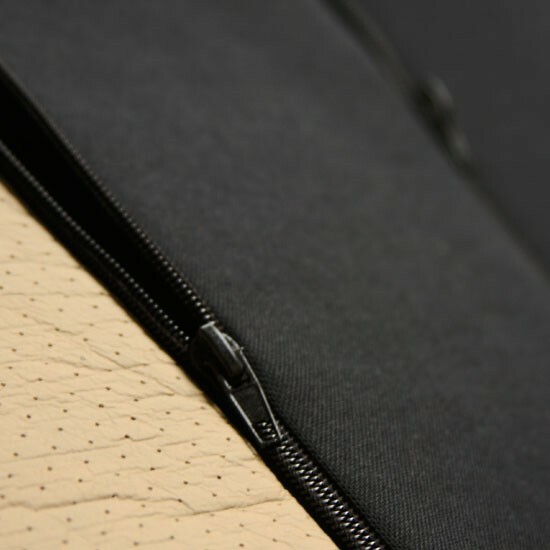 Breathable PU leather with leather feeling, warm in the winter and cool in the summer. Lycra backing provide tretching ability for snug fit. This set includes 2 front seat covers (in total of 6 pieces), rear bucket seat cover (in total of 4 pieces) steering wheel cover and 2 seat belt pads. 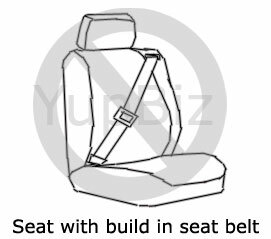 Please note these are the universal size cover that provides general fit to all cars with regular size seats. 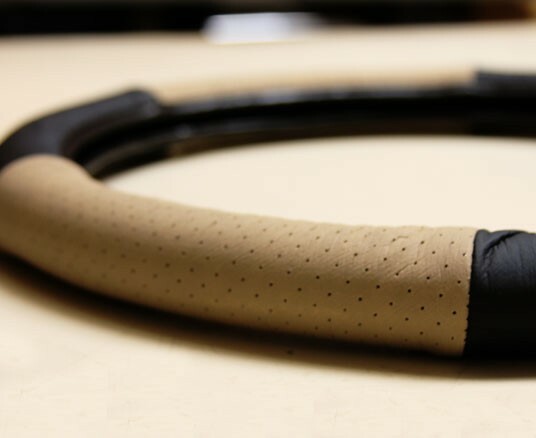 If you are looking for exact and perfect fit, you might need to look for custom make cover which cost hundreds of dollars. This set also comes with a 2oz Purple Slice, the altimate Multi Purpose Polisher and Cleaner. 13 pieces of universal Black/Grey PU Leather seat covers set. 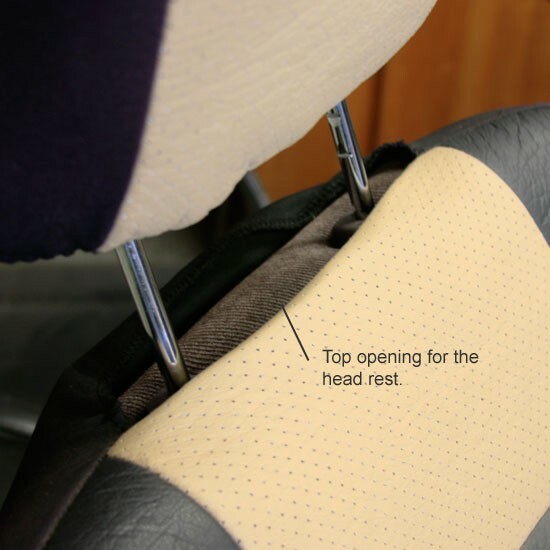 Smart zipper system supports rear 60/40, 50/50 split seat and center console. 2oz travel size ultimate multipurpose non-toxic detailer and cleaner, the Purple Slice. It used by car detailers to make their job easy, just spray and wipe and see your car shines for up to 6 weeks. Purple Slice is not only great to be use on cars, it can also work on hundreds of other things. Try it on your LCD screen and be amaze with the cleanliness and non streak effect. 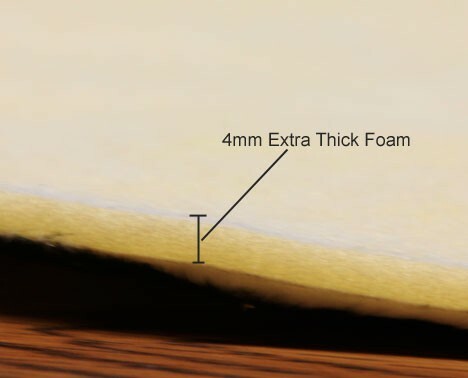 RECOMMEND TO USE IT WITH "MICRO FIBER" TOWELS OR CLOTHS FOR THE BEST RESULTS. Check our web site for reordering of regular 32oz Size. 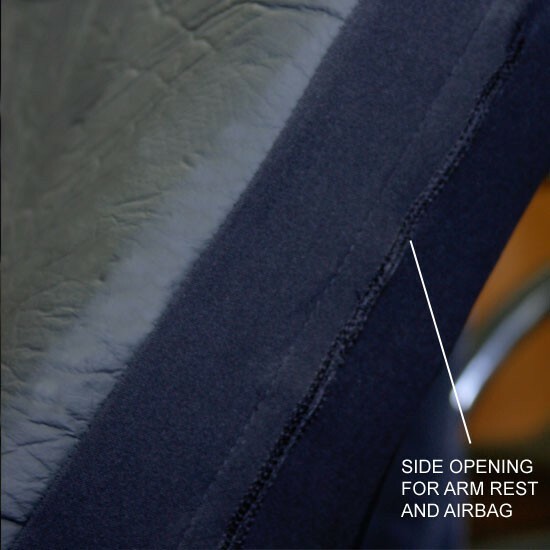 Please note: It's very difficult for us to tell if this seat cover set can work with certain makes and models since we have no idea what kind of seats were installed in your car. If will fit your car if your seats are the regular bucket seats. It will not fit large seats such like Lincoln Continental.